Obituary for Kenneth E. Morgan | Ray Funeral Service, Inc.
Averill Park – Kenneth E. Morgan, 43, passed peacefullyWednesday, February 28, 2018. Ken leaves behind his wife, Beth Morgan, and his parents, Beth and Barry Secor. He formerly resided in Castleton-on-Hudson. Ken is survived by his brothers Ryan (Tania) Morgan, Sean Secor; his sisters Wendi (Michael) Wiley, Kathryn Secor; stepsisters Kimberly (Randy) Maddox, Coleen (Randy) Ohl and stepbrother Scott (Laurie) Secor. He was a devoted uncle to Jessica and Megan Wiley and Walker Morgan. Ken was predeceased by his father, Steven M. Morgan. Ken was an accomplished marathon runner who ran many races,including 20 consecutive Boston Marathons. 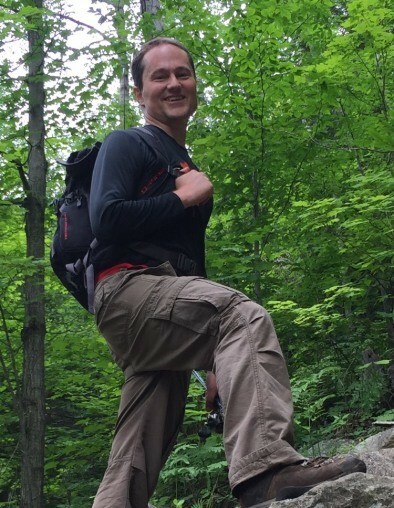 He loved the Adirondacks and was an avid hiker, completing 43 of the 46 High Peaks. Ken was the original founder of the Clove Run supporting local charities. Ken was a material scientist and held numerous patents in substrate development. In lieu of flowers, donations in his loving memory to the Ronald McDonald House, 139 South Lake Avenue, Albany, NY 12208. A gathering to celebrate his life and share memories will be held Sunday, March 4th from 1 p.m. to 3 p.m. at Ray Funeral Service, Inc., 59 Seaman Avenue, Castleton, NY 12033.